Fernando Rojas speaks to ABC7 on Wednesday, April 15, 2015. 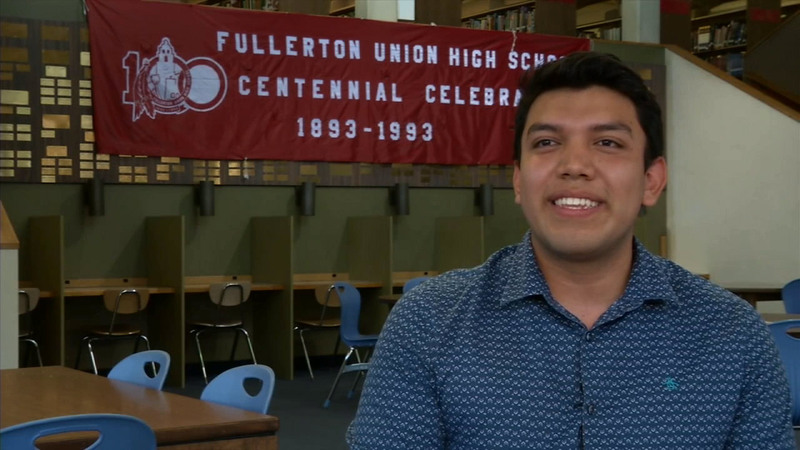 FULLERTON, Calif. -- A Fullerton Union High School senior has been accepted to all eight Ivy League schools. The principal of Fullerton Union High School notified ABC7 about Rojas' success using #ABC7Eyewitness. The graduating senior is the son of immigrants from Mexico.